Earlier this week, the U.S. Department of the Interior swung the door wide open to drilling in the remote waters of the iconic Arctic Ocean when it announced that it was reaffirming controversial Bush-era leases for the Chukchi Sea - a lease sale referred to as Lease Sale 193. The history of Lease Sale 193 dates back seven years - in 2008, the Bush administration offered nearly 30 million acres of remote and poorly understood ocean to oil companies despite widely acknowledged gaps in scientific information and a complete lack of proven response technologies for the harsh and unforgiving Arctic Ocean conditions. Shell purchased the majority of the leases, and ever since, a coalition of groups that includes Alaska Wilderness League has fought Lease Sale 193 in the courts. Late last year the Obama administration released a new court-mandated draft analysis of the effects of oil and gas leasing in the Chukchi Sea demonstrating just how risky it would be to allow drilling in this remote, climate-stressed region. The analysis found that there is a 75 percent chance of a major oil spill (more than 1,000 barrels, or 42,000 gallons) occurring if the Chukchi leases are developed. With a three-in-four chance of a major disaster, and with no effective way to clean up or contain spilled oil in Arctic conditions, the analysis acknowledges that such a spill would result in the loss of a large number of bowhead and endangered beluga whales, polar bears, thousands of seals, and have devastating effects on most marine and coastal birds in the area. Which brings us back to the present. Despite all of the controversy surrounding the original sale in 2008; despite the findings since of a major risk of spill if these leases are developed; and despite Shell's less-than-reassuring history in the Arctic, the administration and the Interior Department have elected to validate Lease Sale 193, which could potentially mean a return to the Chukchi in 2015 for Shell. And let's not forget Shell's 2015 plans involve working with the same contractor, Noble Drilling, that pleaded guilty to eight felony counts for its role in Shell's disastrous 2012 season. This is not, however, the time to hang heads and concede the Arctic. Shell still needs to gain approval for its exploration plans, a revised set of which were just submitted to the Bureau of Ocean Energy Management (BOEM). 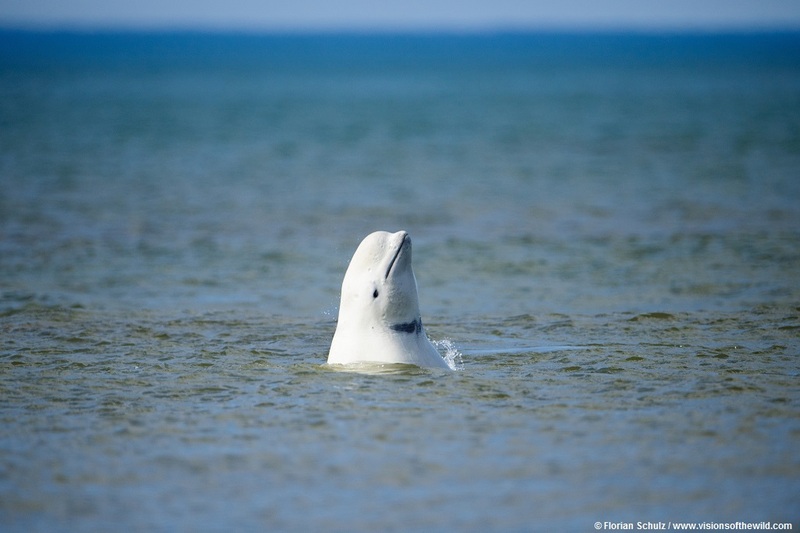 And even if BOEM deems these plans complete, there will still be a comment period to follow during which the public will have the chance to speak up for the Arctic. And as Shell vies for a second chance in the Arctic, there will be several other approvals needed as well. Recently, Shell tested oil spill equipment in Bellingham, Washington with government officials looking on, and we all know how well that went the last time. On March 24, exactly one week prior to the Lease Sale 193 announcement, we recognized the anniversary of the Exxon Valdez oil spill, one of the worst environmental disasters in U.S. history. We did so by joining our friends at Greenpeace, Sierra Club, Friends of the Earth and World Wildlife Fund, and taking our message to the steps of the White House: we can't afford another Exxon in the Arctic. As we said that day: offshore drilling is reckless and risky, proven by disasters like the Exxon Valdez and Deepwater Horizon oil spills, and yet Shell continues to push to return to the Arctic Ocean this summer. As we approach another landmark anniversary - April 20 marks the 5th anniversary of Deepwater Horizon - we must continue to stay vigilant and raise our voices alongside those that depend on the Arctic Ocean for their survival, and speak up for the Arctic wildlife that are already feeling the effects of climate change, and would be devastated by an oil spill. Beyond Lease Sale 193, President Obama recently protected sensitive areas in the Arctic Ocean, but the Department of Interior is still looking to lease the vast majority of Arctic waters. Be it Exxon or Deepwater, we've all seen the impact of what a major oil spill looks like. It's time to take Arctic drilling off the table.